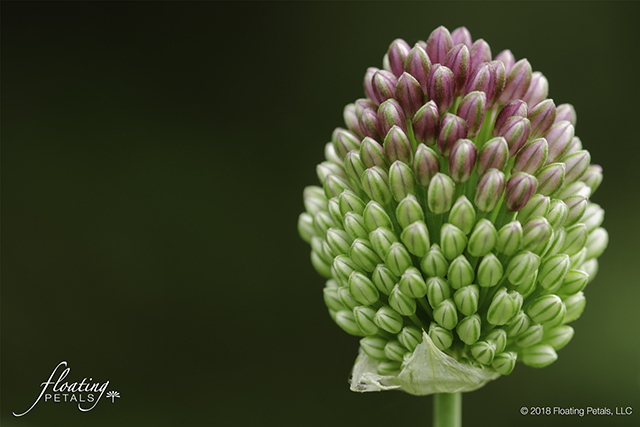 This flower’s story, as I have experienced it on numerous levels: admiring it from afar, planting it in my own garden, seeing it bloom summer after summer, photographing it in my studio, being mesmerized by its intricate details, being challenged shooting it outside as it easily sways in the wind. 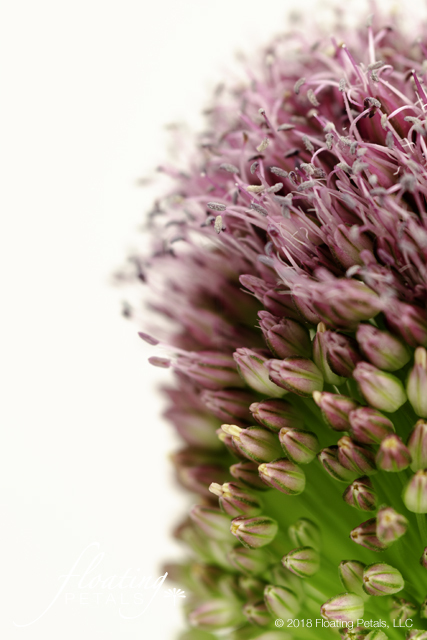 Each story brings a different perspective and joy. 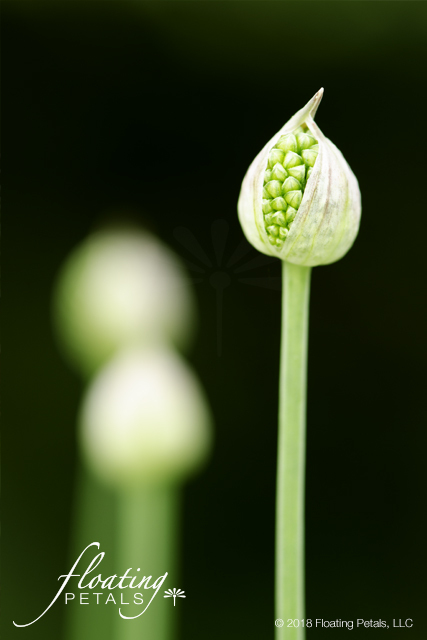 In late spring to early summer, ovoid umbels of star-shaped flowers appear on stiff, leafless stems. 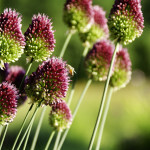 Green flowers gradate from pink to dark clover red-brown at the top. 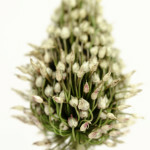 Leaves are linear and long and pungent when crushed. 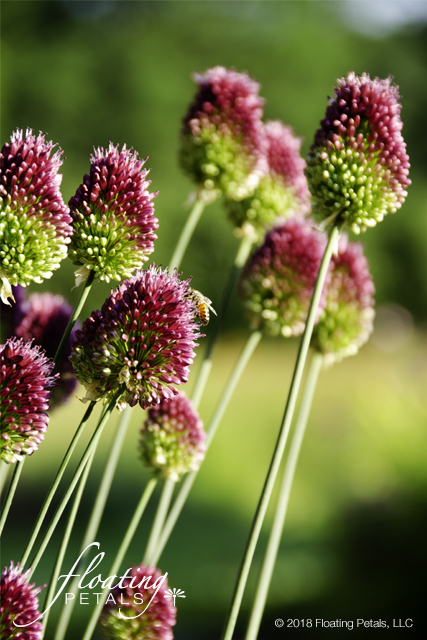 Excellent planted in groups in a border, and where the flowers can rise above and foliage remains hidden. 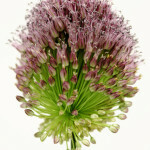 May naturalize. 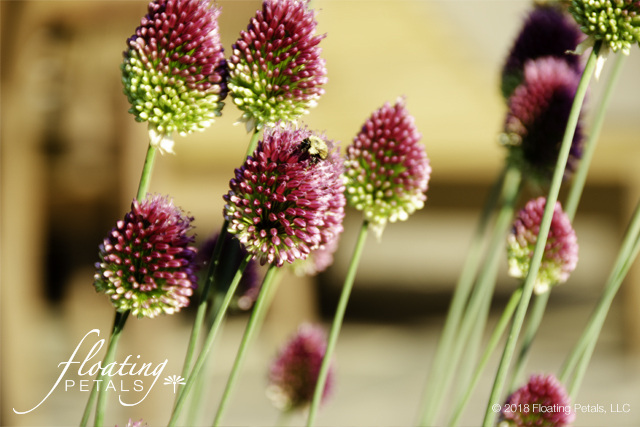 Attracts bees and butterflies. 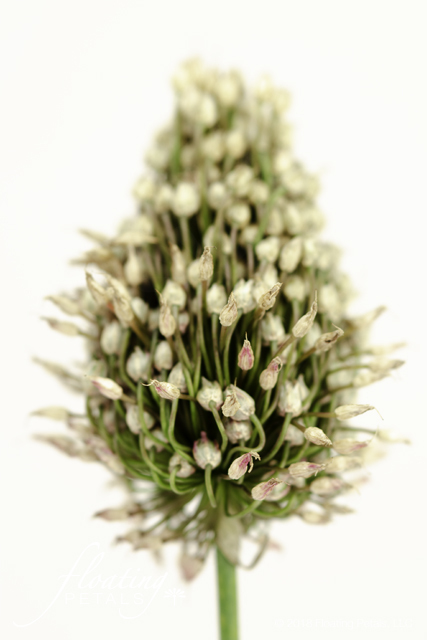 Useful as cut flower and can dry well. 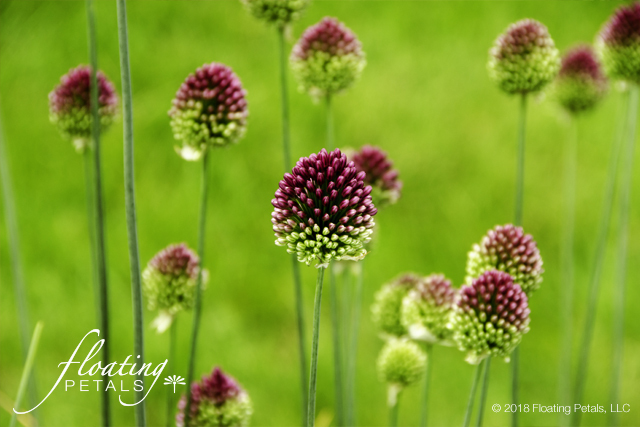 Like all alliums, and unlike most bulbs, alliums are deer resistant. 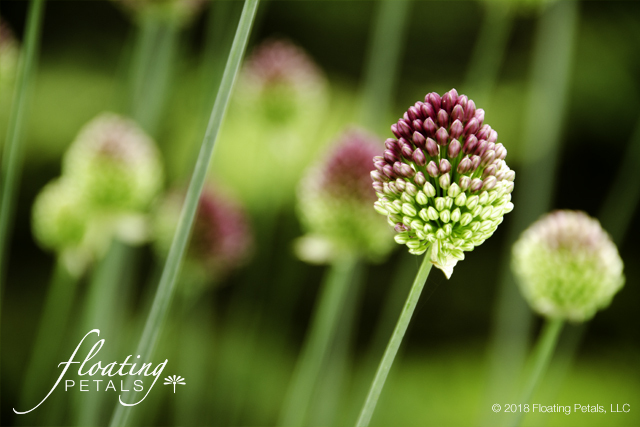 In autumn, plant bulbs 4-6” deep in fertile, well drained soil. 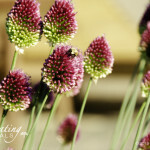 Site in fill sun. 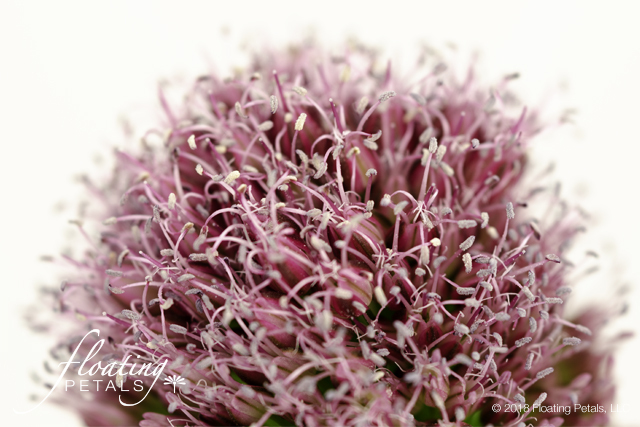 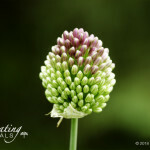 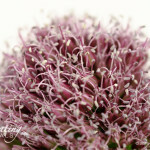 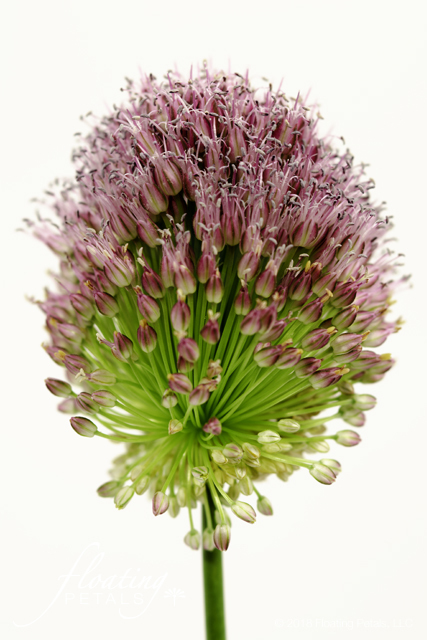 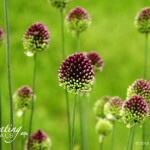 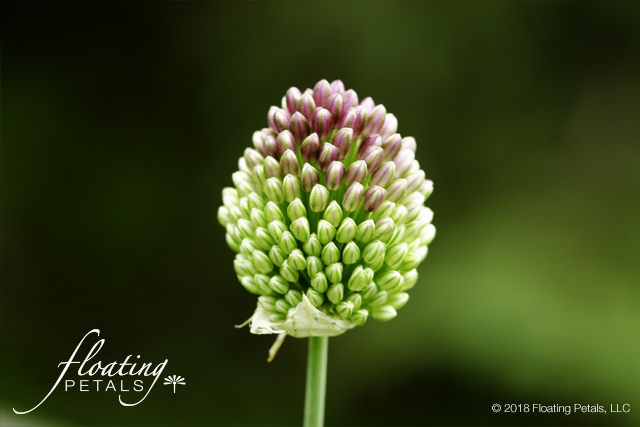 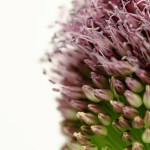 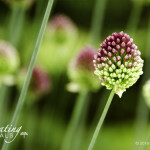 Each Drumstick Allium contains up to 40, tightly packed, flowers.